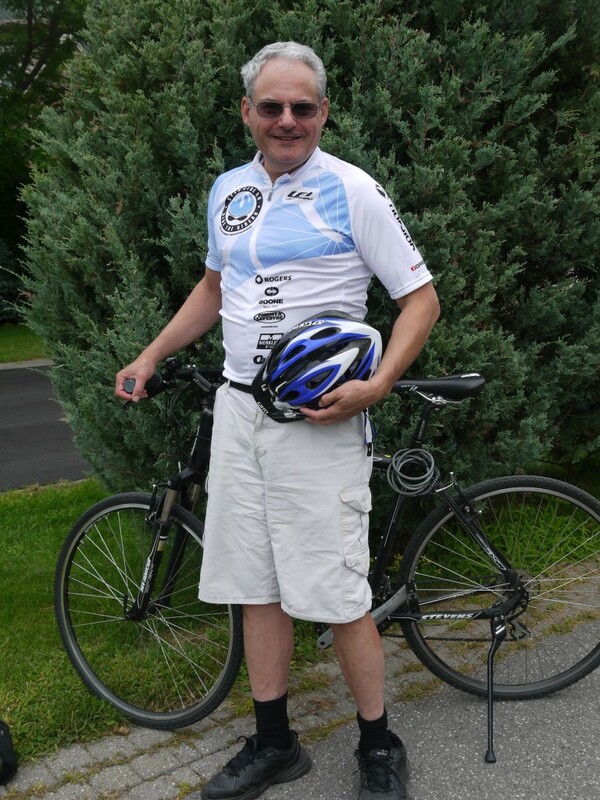 Robert Merkley has over several years allocated significant financial resources to support The Ride in support of cancer research at The Ottawa Hospital. He didn't issue news releases or hire PR people to seek publicity for his community support -- so he receives the recognition here, freely, and without expectation of return. One of my business’s longest-standing clients, Robert Merkley of Merkley Supply Ltd., has encouraged me to participate and support a local cancer research fund-raising initiative, Ride The Rideau. The 100 km annual cycling event has raised millions of dollars for The Ottawa Hospital Foundation. Merkley has successfully encouraged other local construction industry leaders to participate and he seemingly pours more time and effort into promoting this event than his own business. Riders are organized into teams, and Merkley has set (and achieved) an ambitious goal to attract 100 “team members” — each contributing or fund-raising at least $1,500 (in many cases much more) to the cause. Recently, he hosted a BBQ at his business, encouraging suppliers and colleagues to contribute to a silent auction that raised a few thousand dollars more. He does none of this voluntary work to sell bricks and other masonry/building materials. Nevertheless, although you won’t find an ounce of marketing or business selfishness beneath this initiative, this community service work reflects marketing brilliance. The reason: The fundamental marketing goal is to build trust (the brand). You can obviously achieve trust by delivering your product or service effectively and beyond client expectations. But how do you get beyond that level? The answer is to find and support a higher calling(s); causes you believe and support, other-centric, which relate to your own, employee and clients’ (and potential clients’) interests. The Ride the Rideau initiative caused me to rediscover bicycling — quite often I commute the 10K to my office now In “rush hour” it doesn’t take much longer than in the car. Health care research is usually a safe bet, because, as Merkley notes, more than 40 per cent of women and 45 per cent of men at some point in their lives will be diagnosed with cancer. So a campaign to support cancer research at the local hospital will have live-saving relevance to virtually everyone, as if we haven’t experienced the disease, we either will, or certainly someone in our family or close circle of friends will eventually experience it. 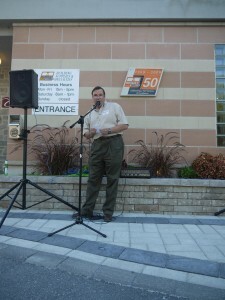 Note Merkley’s multi-year commitment; the countless hours, and personal resources he dedicates to the cause. This stuff cannot be converted into measures of (in his case) building supplies sold — but consider how his business has outlasted competitors and some extremely severe recessions. Not everyone will put this much effort into giving more than selling, but there is one other message here. Generosity is the great equalizer. If you don’t have much money, you can still contribute time. You undoubtedly have some skills, expertise, or resources you can contribute. If you are worried about payback, you don’t get the point. When you forget about yourself, and think about the bigger cause, you’ll discover the rewards. If you can, please contribute to the campaign. Here is the link to my “personal page” at the hospital’s fund-raising website. If you contribute directly here (in Canada) you’ll receive your tax receipt directly from the Ottawa Hospital Foundation.